Please note that this product has now been discontinued - these are the last remaining readers of this model. 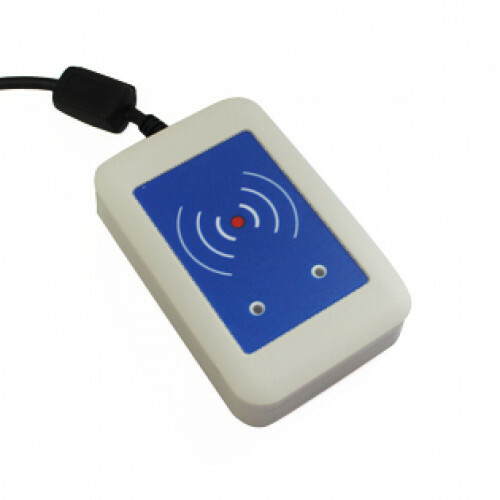 The TWN3 Multi ISO transponder card reader is designed for easy integration into various applications. The card reader can be ordered in either USB or RS232 connection cables and is supplied in a ready-to-connect desktop reader in a slim line black or white housing or as an OEM board (PCB) without housing for direct integration into embedded applications. Card readers can be programmed with script language for autonomous execution of even complex commands like login procedures, increment/decrement functions and many more. The Secure Access Module (SAM) is supported for enhanced security and cryptographic performance. This enables the application to perform secure transactions, e.g. payment terminals etc. Please note that readers are also available as OEM board or RS232 in black if required. This is an end user price - please contact us for trade prices if you are an integrator, distributor or reseller! MIFARE® Classic, MIFARE® Mini, MIFARE® DESFIRE® EV1, MIFARE Plus® S,X, MIFARE Ultralight®, MIFARE Ultralight® C are registered trademarks of NXP B.V. and are used under license.